Much like summer is the perfect time to sell swimwear, every industry has their peak moments throughout the calendar year for optimal sales results. When it comes to selling your business, timing is everything. As a business owner looking to sell their business, there are many things to consider. One of the most important decision factors is when to sell your business; thinking about the time of year, the local economy, and timely events all need to be considered. These variables, and many more, can have a large effect on the end result of your sale (whether positive or negative). Which leads to a very important questions: when is the right time to sell? If you think of these elements cyclically, you can see a pattern emerging. For many business owners, sales are often made at the End of Financial Year or the end of the calendar year. A sale at the End of Financial Year means clean books for the New Financial Year ahead. A sale at the end of the year means a fresh start after New Years Eve. Selling your small business can be a lengthy, confusing, and emotional process with several considerations to make. Collaborating with a support network of business brokers, accountants, and solicitors is a very effective way of ensuring you have the right advice and tools are your disposal every step of the way. As your trusted source of expertise and information, your professional services team can provide you with an array of helpful tips for selling your business. Thinking of selling your business? 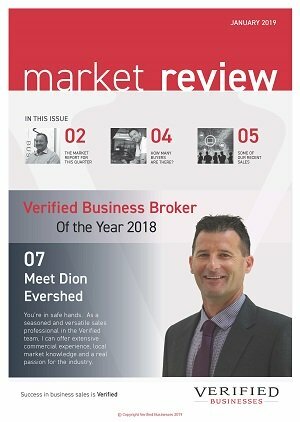 At Verified Businesses, we are the leading Business Broker on the Sunshine Coast and we have an enviable reputation within the local business community. Want to know more about how to sell? Contact our friendly team today to book a consultation. You can also explore our Sellers Toolkit for everything you need to know about selling your business. At Verified Businesses, success in business is Verified. The Essential Guide for Selling Your Business!! Should you stay on to train the new owners when selling your business?